The word shows a clear picture of who we are in Christ. Our role therefore is, to affirm these truths through the confessions of our solid fronts. 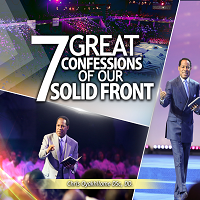 In this concluding video part of this series, you will understand the deep truths of our great confessions and be catapulted to greater heights of victory in life.